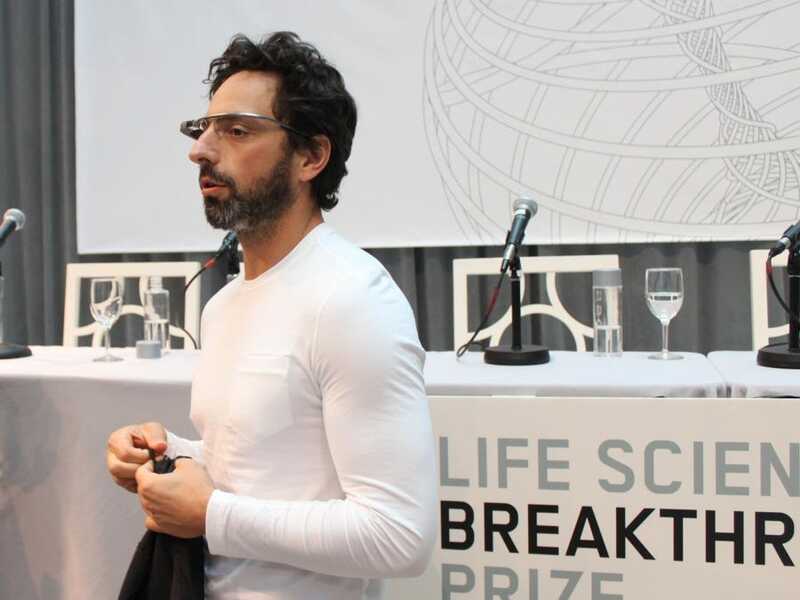 Google cofounder Sergey Brin showed up at the launch of the Breakthrough Prize in Life Sciences, a biotech research-awards program he’s backing with some other tech billionaires, wearing Google Glass. Google Glass is in the news lately, as Brin’s company has expanded availability of the Internet-connected headsets. It’s one of the mysterious projects Brin now busies himself with in the Google X skunkworks. Our Russian is very rusty, but we caught that he was talking about Area 151, an arcade-game venue in Los Altos, Calif. Brin lives nearby and has backed several family-friendly businesses in an effort to make the downtown area more appealing.